Find out how the Amazon search algorithm works and why it's different to Google. If you've been paying attention over the last few years, you have likely noticed the expansive growth of Amazon. This is largely due to third-party sellers, who have driven its sales up 27% year over year. Amazon has not only topped Google as the number one shopping search engine, but has attracted droves of individual and corporate sellers to its marketplace. When those sellers arrive, they come saturated with SEO knowledge that is specific to Google. Their assumption is that Amazon's internal search engine operates the same way as the Big G. Nothing could be further from the truth. If you want to sell on Amazon successfully, you need to understand how its search algorithm works and how to properly navigate through it. Unlike Google, which uses link signals from other sites, social indicators, history, authority or other search-related elements to evaluate your product listing. Everything related to ranking well is internal to the Amazon site. Well-written, keyword-optimized title. This is not the equivalent of Google's title tag. It is, rather, the title/product name of the item you are selling. Keywords entered into the Search Term fields. Unlike Google's meta keyword tag (which as we know search engines no longer look at), Amazon provides five Search Term fields that are critical in getting your product ranked well. Availability & selection play a role. If you run out of stock, your rankings will most likely suffer. If your selection isn't as good as another seller's, you may see your listing further down in the search results. Sales history impacts rankings. According to Seller Central, "In general, better-selling products tend to be towards the beginning of the results list. As your sales of a product increase, so does your placement." Each product can have up to five search lines of 50 characters per field; that's 250 characters. The individual words in the title, seller name, and brand are automatically included as search terms and do not need to be repeated. All combinations of title words and search terms are fully searchable. Likewise, it is not necessary to repeat keywords on Amazon. Enter the keyword in one place (title, search term field, seller name, brand, etc.) and the system has it. There is NOT a penalty for using keywords in your bullets and/or description; it just isn't necessary to do so. It is very likely that these search terms will show up naturally as you write, which is perfectly fine. The better you do on Amazon, the better you will continue to do. That's because Amazon rewards sellers who have higher numbers of sales and better conversion rates. This can often be an issue for brand-new sellers with no history on the site. The never-ending question is, "How do I get sales if I can't make initial sales?" Many product launches depend on paid Amazon PPC (pay-per-click) ads, third-party PPC ads (such as AdWords or Facebook), or organic social posts to drive traffic to Amazon listings or funneling website traffic to Amazon pages until the products pick up some momentum. If you are currently selling on Amazon or thinking about it, make sure to understand how the internal search engine works. Please Note: Amazon is practically the opposite of Google, so if you read recommendations to implement Google-type strategies with your Amazon listings, the advice may not be valid. You can do a good bit of research within Seller Central (if you have an active Amazon account), starting with their overview of Search and Browse. Keep an eye out for our next article of this three-part series. 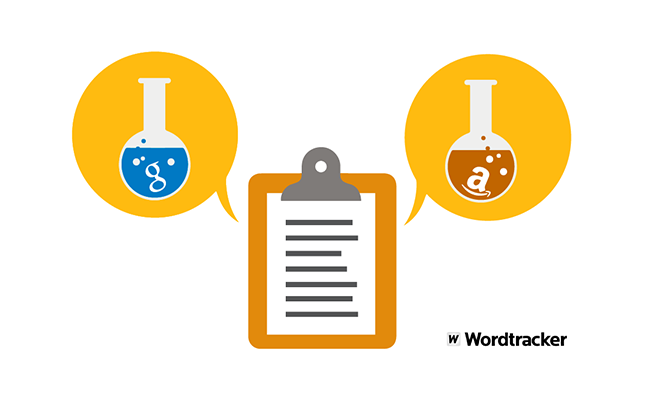 We'll look at conducting keyword research to uncover the best terms for driving traffic to your Amazon product pages. Karon Thackston is President of Marketing Words which provides SEO, web & Amazon copywriting services as well as professional copywriting training. Copy not getting results? Want to learn to write conversion-oriented copy yourself? Check out Karon's complete line of copywriting products to improve your conversions & rankings on Google and Amazon. If you prefer, contact Marketing Words for a web copywriting quote.